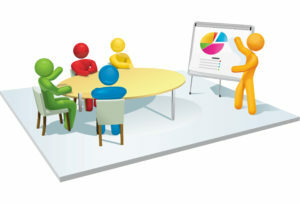 Need training design and development help? We believe that people are the strongest deciding factor in the success of a business. It is paramount to any business that they have the right people, with the right skill sets, in the right jobs, all aligned to business goals. Talent mobilization is the key – we work with you to put you in a position where you can mobilize your talent to meet dynamic business needs. We follow best practices in our approach to learning and development. We build in excellence from the beginning, ensuring that your employees have a productive development experience. You’ve invested a lot to acquire talent, let us help you invest in keeping and developing them so they can contribute to maximum potential. Growth. Improvement. Effectiveness. Successful business transformation requires a multidisciplinary approach that takes into account all employees and encompasses all layers of the organization. We drive and build sustainable improvements into your business. We are your strategic partners for business transformation at every level. Every service we provide is designed to enable you to improve your business’ performance. It’s in our name: Together we elevate your success! We work alongside you and partner with your internal talent to ensure that a level of proficiency is established that allows you to perform. Alonos® consultants help your organization become competent, elevating your success and improving performance. We are not like other firms that seek long term engagements at the expense of building capabilities within your own company. Our consultants are highly skilled, educated, and experienced in their respective fields and specialty areas. We have the ability to conduct our services in multiple languages, giving us a unique position in the global landscape of business consulting services. Our consultants not only have language skills, but have lived abroad giving them each unique cultural insights and abilities. Copyright © 2019 Alonos – Powered by Customify.